I am looking to work with a skilled copywriter who can help me say what needs to be said on my new website. Words and language are vital and my particular market would require a certain style of writing to capture their attention. If you have experience in sports writing I would be very interested in hearing from you, but this is not of great importance, of course keywords & SEO knowledge is essential. If you live in Melbourne (as I would prefer to meet you in person) and are available ASAP to get started please get in contact. Hi Jade. I'm great with SEOs, persuasive writing in a variety of styles including conversational, edgy, fun, conservative and compassionate. I can offer content, headings, tags, social media posts, blogs or simply editing. All at the competitive rate of $25 p/h . Give me a call today to discuss. Kind regards, Rachel, Creative Copywriter Toowoomba. I am in Melbourne and happy to meet up or chat via phone about your sport related project. I am familiar with some aspects of the sporting industry... If just being a fan is considered a qualification! Seriously though, happy to work with you on this project. I have just over 4 years print media experience with articles publishes monthly, and I have been freelancing since 2010. Please check my samples and media kit in my portfolio. I have an engaging and relaxed writing style whilst still managing to get the important points across. Let me know if you think I'd be a good fit for your project. Rates at $10 per 100 words. Works out to be approx. $60-$80 a page. Hi Jade, Would love to help you create content in sports writing. I am a freelancer specialising in creating content and social media management. I am able to create engaging posts to connect with your brand/company! I am a professional digital marketer who is having hands in complete digital marketing, web development, and content writing. Hi Jade. I live in Melbourne and have good flexibility. I am also close to the CBD and public transport. I am happy to work with you and confirm we are together in approach. I have the skills required, and I understand the importance of keywords and SEO. My editing and proofreading skills are perfect, and my writing quality is excellent. I am very happy to chat with you further. Kind Regards, Sharon. I'd love to do this for you. I'm an expert copywriter and editor with years of experience in writing and editing web content and promotional materials. My work is polished, professional, fresh, accurate and creative. I've worked across many industries, including sports - and I have a host of private clients who give me repeat and referral business. I can write in whatever tone you require and am able to start right away. Getting your message across with the keywords you want is a given. I also offer three rounds of reviews to ensure that you are delighted with my work. That said, most of the time my work requires little or no editing. I also use a creative brief to make sure everything you want is crystal clear. My rate is $120 per page. Hi Jade, I am an experienced copywriter with over 15 years of marketing and PR experience. I can provide you with website content that is well written, engaging and targeted to your audience. I am based in Melbourne and would be happy to meet with you in person or speak over the phone. I am a wordsmith with versatile experience in copy writing, creative writing and editing. I love sports, communicating effectively and playing with words - and I think that's a great combo for what you need! I have knowledge of most sports and I know how to use language to capture attention and to motivate. I am happy to meet if you are local. I am in Doncaster. I would need bettdr understanding of your aims before quoting the work. I currently have the time having just finished a motivational ebook. Feel free to get in touch. I am a professional writer based in Sydney. I am also the founder of Edi Editing Services. I am highly experienced in various writing projects. Please feel free to visit www.ediediting.com/testimonials/ for reviews from previous clients. Hi! 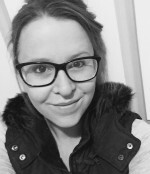 I'm a fashion and lifestyle blogger, as well as a digital media marketing manager for a range of different clients. This enables my flexibility -- and also suggests that my voice is ever-adaptable and diverse! I'm the perfect candidate to cater to your brand as well as your audience, particularly given my innate love for fitness. I can't define exactly how long it would take (I'm not too sure how many pages you are expecting to have on your website), however, my hourly rate is $35/h either way. I look forward to hearing back from you! I am based out of Melbourne in Torquay but happy to come in and meet with you in person. I've created web copy for clients in the health and wellness industry primarily (my background) but currently I'm writing for a surfing organisation so definitely have some sports focussed experience too. I'm keen to hear more about your project and from there we can discuss timeframes and cost depending on your needs (the bid is a little difficult to be honest about without knowing the scope of your project). The good news is, I have space to get started on this right away.